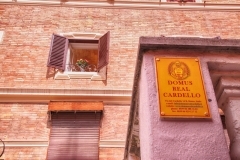 In the heart of Rome, in an ancient building in Via del Cardello 14b, located in the historic center, you can find the guest house DOMUS REAL CARDELLO. 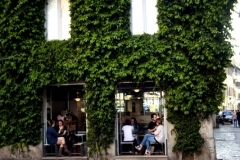 It is located on the first floor of an elegant historical building. The guests are welcomed in a very friendly and familiar atmosphere in an elegant reception. 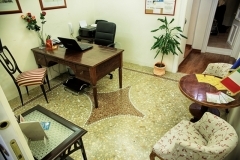 The 4 rooms, designed and furnished with great attention to details, are very bright and comfortable. All rooms are independent making them perfect for a holiday in respect of the own privacy. 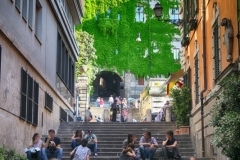 The staff is happy to provide with all the information about the city and tourist itineraries. 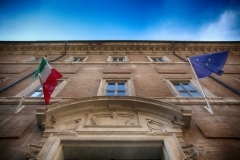 The guest house Domus Real Cardello is located nearby the most beautiful and refined places in Rome. 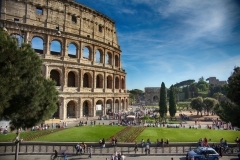 Few steps from the Colosseum, one of the seven wonders of the world, and in close proximity to the Roman Forum, the Imperial Forums and Via Cavour, one of the most important streets of the eternal city. 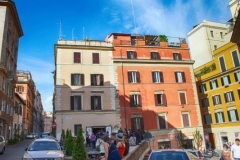 With a pleasant short walk you can reach Piazza Venezia, Largo Argentina, Piazza Navona, Trevi Fountain and the historical market of Campo dei Fiori. 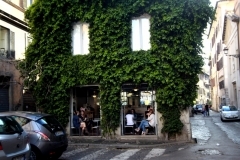 The area is quiet, but also very central, the most characteristic and historical center of Rome, the Monti district, where you can find countless typical restaurants to spend pleasant evenings. 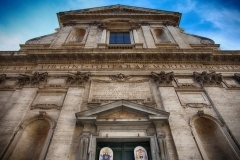 In the surroundings you can also admire the beautiful historic buildings of Renaissance Rome, such as St. Peter in Chains, Santa Susanna, Sant’Andrea della Valle and the basilica of Santa Maria Maggiore. 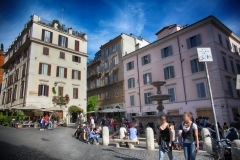 Walking in the historic districts of Rome you cross the Monti district, the largest and the oldest in Rome. Here you can find evidences of Roman, Medieval, Renaissance and Baroque époques with a succession of styles spanning centuries of history. 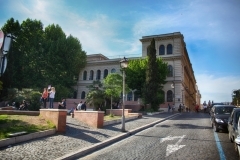 Via del Cardello is an elite street, located a stone’s throw from the Colosseum and the Imperial Forums, where is possible to discover hidden treasures of the most distinctive and historic district of Rome. 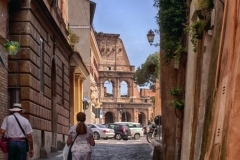 This street is a symbol of a virtuous Rome, which from the heart of the Monti district, one of the most experimental of the capital and always projected into the future, launches its challenge to conformism and cultural flattening, typical of many other Roman districts. This elegant guest house location is born DOMUS REAL CARDELLO.